Welcome! My name is Animation City Hostel. 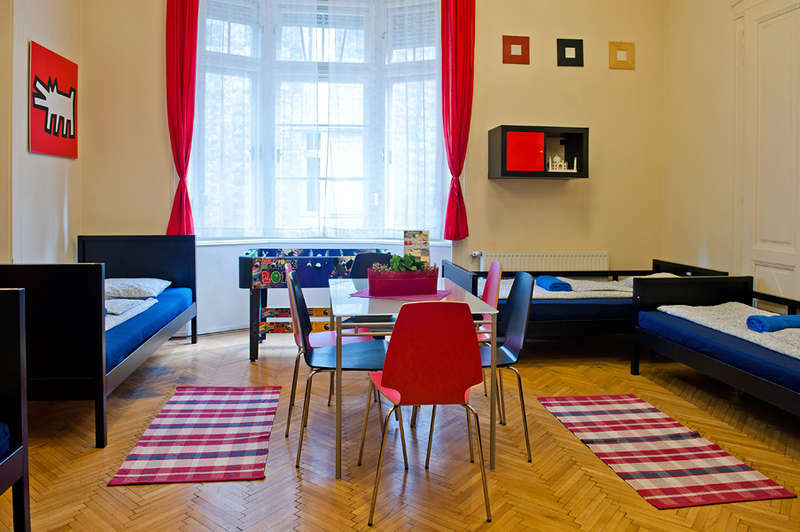 I am a brand new property in the historical center of Budapest. You can find me only a few steps away from the famous pedestrian street of Váci utca, the beautiful Danube bend, and the Synagogue, which is the biggest one in Europe. My place is a cozy, lovely and youthful hidden gem in the downtown. I provide 6 tastefully designed rooms, which are able to host a total of 16 people. Comfortable bunk beds, public computers and a fully equipped kitchen - all of these for a reasonable price! Tea and coffee making facilities are free of charge during the stay. To feel at home away from home, I can ensure a small public area with a TV, and comfortable sofas to have rest after a busy day in the city! The staff is on hand at any time of a day 0-24 to help you with questions and advices. Ticket- and restaurant reservations are available on request, guided city tours can be arranged. Breakfast is available on-demand at Café Bali restaurant, only a minute from Animation City Hostel. (Pets are welcome – additional fee is possible.) Superb, professional dental services in the building. I am awaiting for my kind guests in the whole year! Stop searching, and visit me if you are travelling witha group of friends, or if you are an individual traveller, who likely spend his holiday within familiar athmosphere. As Robbie Williams sings in his world-famous song: "Come on, let me entertain you!" Hope to see you soon! Airport transfers are available for 25 Euro/car and transfers from the train station for 10 Euro/car. Public transport from the airport:-Take bus number 200E from the front of the airport to Kőbánya-Kispest. It's the final station, change to the metro line 3 (the blue line) here. Travel 9 stops until Ferenciek-tere station. If you come up the steps, you will come to Kossuth Lajos Street.Turn to the left and walk until Vaci street. Turn right and the first street on the right is Haris köz. Find number 2. If you choose to take public transport don't forget to buy tickets and remember to validate them! Cancellation is free up to 48 hours before arrival. In case of cancel a booking within 48 hours before arrival, or in case of a no-show, fee of the first night will be charged by the hostel. Cancellation policy may be different for Special seasons, like New Year's Eve, or Sziget Festival. In case of Visa confirmation necessity, we require prepayment via bank transfer. Pets are welcome - but additional charges may apply.